Help! My climate bill has fallen at it won't get up! Yet another Democrat/Harry Reid/Obama fail, but this time it’s a good one. 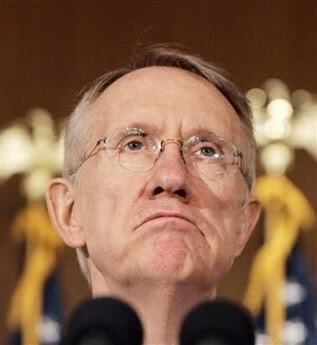 The climate bill has died, at least for now, as Harry Reid has pushed it off the Senate schedule until September. He obviously couldn’t even get enough support from his own party to ram this through ala Obamacare. I guess sneaky midnight Sunday votes wouldn’t have helped get this one through. This bill wasn’t very well thought out, was rushed in a kind of a knee-jerk reaction to the BP Gulf oil spill and appeared to be a desperate attempt to pass some kind of climate related bill to pacify their “green” voters since cap & trade kicked the bucket..
Harry’s blaming this on big oil, but you know what? Many “green” groups were unhappy with it, too. It seems they felt it was basically too little too late for them to support it. Probably best it goes away because it’s really an abortion to both sides of the fence. This is what happens when things get rushed through and they’re not well thought out. Suggestion – get together next year and come up with a bi-partisan bill that works, or better yet, don’t come up with one at all and watch the carbon traders butts pucker up.